Those were the days! Every 15 minutes alternate 6 and 7s from Saltash Passage / Barne Barton. 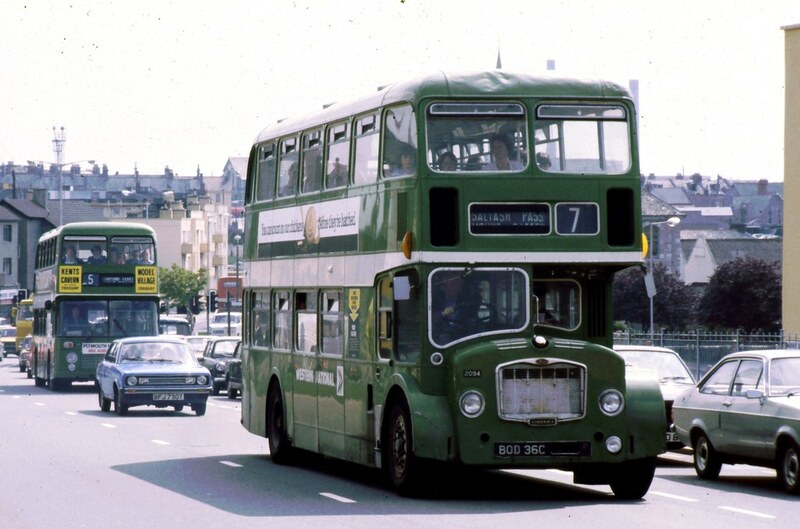 It was catching these fine machines to school from Barne Barton which sparked my interest in buses all those years ago. It was a conductor who pointed out the fleet numbers on each bus and gave me my first hand written 'fleet list' of the Plymouth based FLFs. Nearly forty years later I am still chasing buses - it was all his fault! Lovely bus, but look at the state of the roof and the fuel spills on the side. Some things never change! Lovely picture - scenes like this today would mean I'd spend all my time out bus spotting, instead of hardly bothering, as I do now !! The only lovely scene with First D&C is the dark haired girl in their Bretonside Travel Office - anyone know her name ?? Is she married/spoken for ?? With looks like she's got, I hardly think she's still single....oh well !! I was a conductor on these buses from April 1967 to June 1971,I pass my Psv test in June 1971,And i enjoyed nearly 44years with Western National /First.Maid redundant March this year.